Hi! 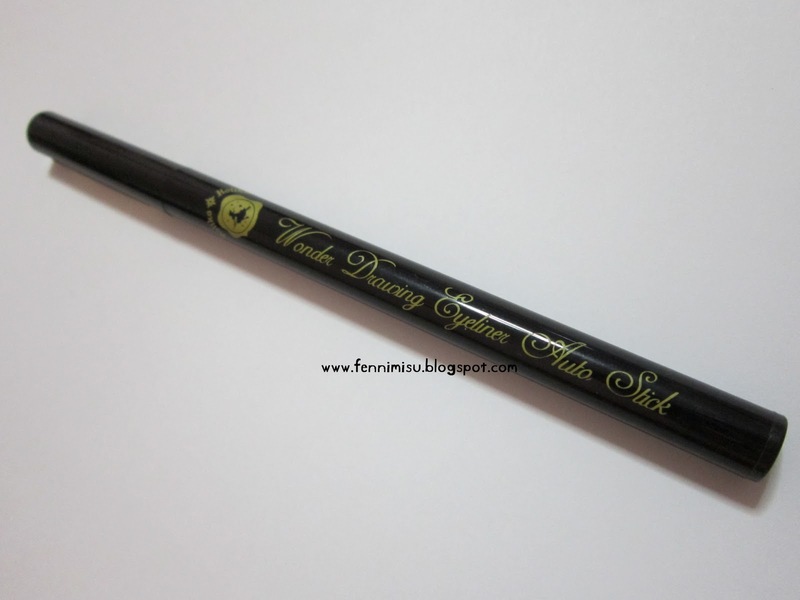 This is a review of Holika Holika's Wonder Drawing Eyeliner Auto Stick! It costed me $10 in the store @ Wisma which is pretty costly... Read on to know why. Like most auto stick liners, this one is a turn up and down one with a snap-close cap. It's in 01 Black! As you can see, there isn't much difference in the intensity between one stroke and three strokes. -Too much used will cause "panda eyes"
I think its totally pointless to have an eyeliner that is not waterproof and smudges that easily. Given the amount of product, which is only about 4cm long and does not come with sharpeners like e.g. Etude House's Proof 10 auto pencil eyeliner, $10 is definitely not worth your money. Sasa's eyeliners do a better job please! The few good points are that it is very intensely black and very easy to glide on. I regretted getting this and will not advise anyone to get this.